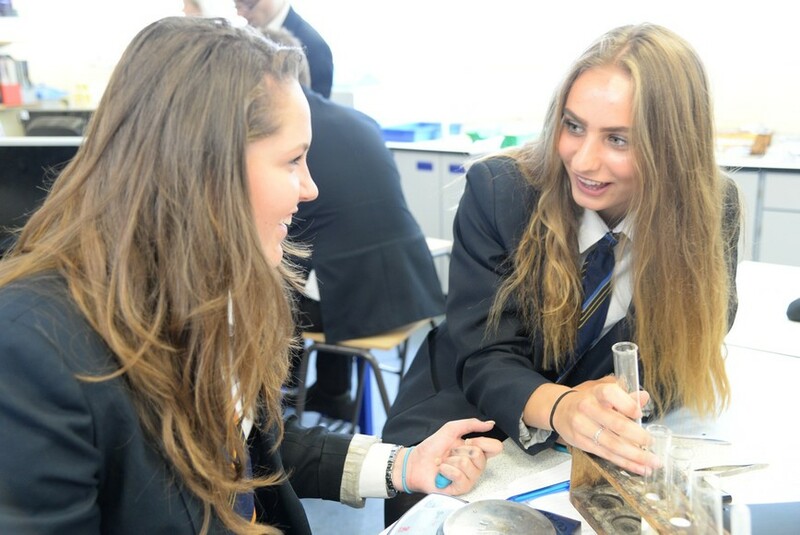 The Science Department is a very successful area of the school, achieving excellent outcomes at GCSE and A-Level. We aim to deliver excellent education to all our learners and prepare them with the skills needed in life and work. At Key Stage 3 learners continue to develop their knowledge, understanding and skills, with an emphasis on 'Scientific skills'. At Key Stage 4 new learners follow a Combined Science GCSE with the opportunity to study separate GCSEs in Biology, Chemistry and Physics. 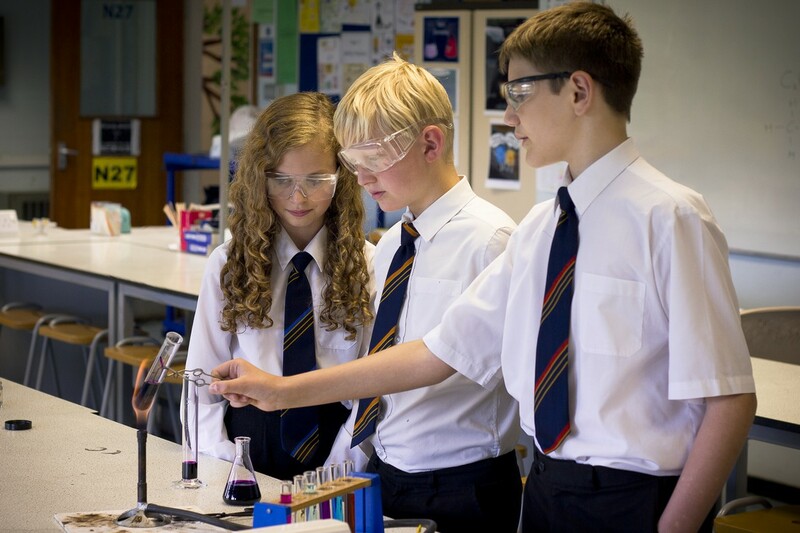 At Key Stage 5 Science subjects are very popular with a large take up in Biology, Chemistry, Physics and Psychology and many students going on to study undergraduate Science courses. 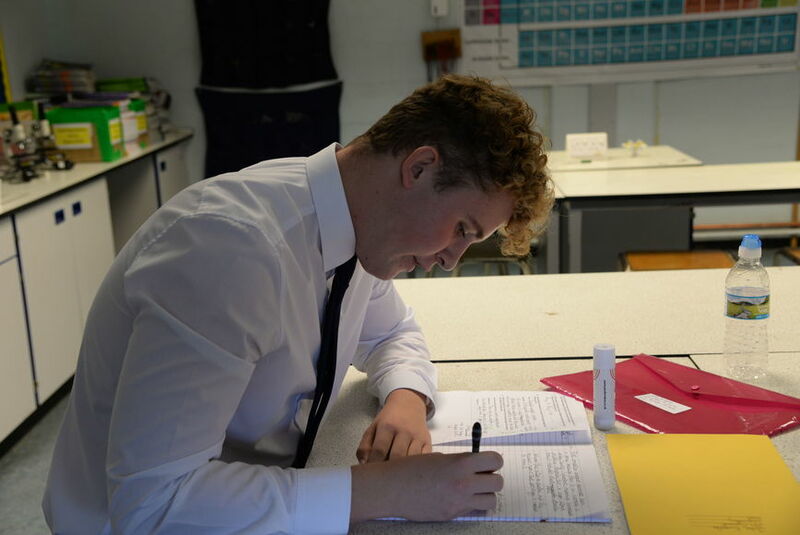 Key Stage 3 students at Chelmer Valley study Science for six periods per fortnight on a range of diverse topics, drawn from the different specialisms of Biology, Chemistry and Physics. 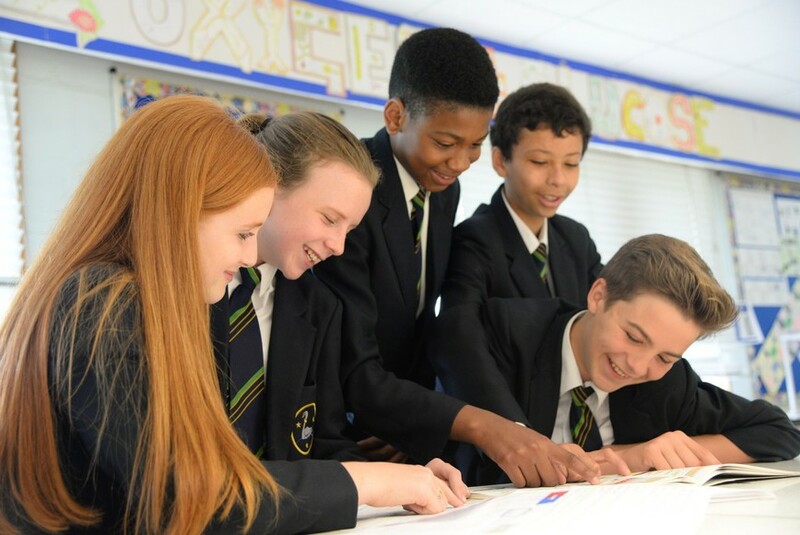 The recent reforms to the KS3 curriculum have enabled us to tailor the course specifically to students’ needs and orientate it more towards developing important scientific enquiry and data analysis skills. Lessons are comprised of a wide range of activities, designed to help students improve their critical thinking skills, such as student- and teacher-led discussions, open-ended practical investigations, rigorous and involving research activities, projects considering how scientific concepts are presented to the general public, and many others. ICT is also used extensively within the Science department, in order to explain difficult scientific concepts, promote engagement and examine more exotic concepts in closer detail. Students are set according to ability, but should the regular assessments show otherwise, students can be moved if necessary. From September students in Year 10 will study either the new Edexcel GCSE in Combined Science or Triple Science. Students in Year 11 either follow the 'Double Science' or 'Triple Science' pathways of Edexcel Science. Students have access to the online Collins text book. The new GCSE will no longer be graded on an A*-G scale, instead in will be in line with the new 9-1 assessment process. The Science grading system will be slightly different from other subjects as the students will be awarded two numbers that are linked to each other, more information on this will follow. The current Year 11 students study GCSE Science which will include Biology, Chemistry and Physics topics, which extend those previously learnt. For example students will study genetics in the context of gene therapy and genetic engineering and will study the electromagnetic spectrum in the context of Earth bound uses and to observe the Universe around us. A large emphasis is placed on ‘How Science works’ and the science that affects students’ everyday lives, making it an enjoyable course that students feel is relevant to them. Students are assessed by examination and controlled assessments of their practical skills. The Triple Science option is offered to our students with a keen interest and a high aptitude in Science. Students are taught Biology, Chemistry and Physics separately by specialist teachers and will achieve a GCSE grade for each. The students will study the same topics as in ‘Double Award/Combined Science’ but will also study extension topics in each subject which will extend their understanding of the subject and is an excellent preparation for further study at A-level. Biology is the science of life and how living things work! At A level, we follow the AQA GCE courses (7401). Students have two teachers who will cover different areas of the syllabus. The 2 year course includes an emphasis on exciting and innovative practical exercises in all of the areas covered. In this course you will discuss and research issues in the news with a focus on genetics and biotechnology, plan experiments, collect data, analyse experimental results and make conclusions. You will learn how scientific models are developed, the applications and implications of science, benefits and risks and how society uses science to make decisions. The Biology Department takes a four day field trip to Orielton Field Study Centre, Pembrokshire, Wales. The next trip will be September/October 2017, at an estimated cost of £400, students will have the opportunity to carry out investigations in ecology to enhance their skills and gain a wider appreciation for conservation. Biology is a useful qualification for many courses and careers including biomedical engineering, nursing, healthcare of people and animals, optician, environmental health sciences, biotechnology, physiologist, natural resource management, wildlife biologist, archaeology, marine biology, forest management, agricultural industries, teacher training, ecology, fish farming, crop management, nutritionists and many more. Chemistry never fails to cause a reaction! At A level, students follow the AQA Chemistry course. 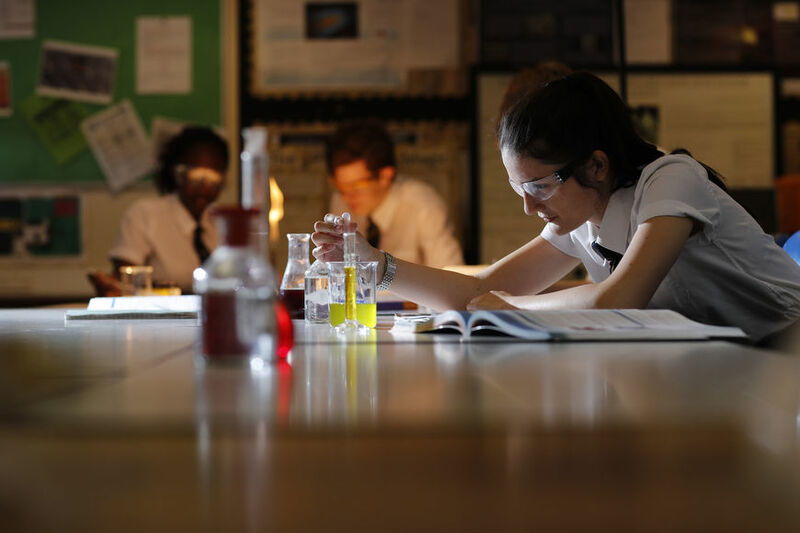 This aims to develop their interest in, and enthusiasm for Chemistry, including developing an interest in further study and careers in the subject. There is a very large practical component which gives students many opportunities to develop their practical skills. These are assessed throughout the course and are written up in their lab book. Topics of assessment covered in Year 1 are: Atoms and reactions, bonding and structure, the periodic table, hydrocarbons, alcohols and halogenoalkanes and energy. The topics of assessment covered in the Year 2 are: Polymers and synthesis, rings, acids and amines, chemical analysis, rates and equilibrium and transition elements. In addition there are opportunities to gain an understanding of how Chemistry is used in careers such as forensic science by attending various workshops throughout the academic year. Physics is the gateway to the Universe! At Chelmer it is a very successful and popular subject. At present we have three staff involved in the teaching of A level Physics sharing a wealth of experience in all areas of the curriculum. Physics A level covers topics as diverse as the properties of fundamental elementary particles and astrophysical phenomena that may lead to understanding the origins of the Universe. It is also the basis for most technological developments and is important in helping us understand some of the most important and challenging problems of our time, such as climate change and energy generation. We currently run the AQA course. Physics Year 1 comprises of five modules with a further three making up the full A-Level in Year 2. At the end of the two year course the students will sit three examinations, two will be mainly theory and the other will focus on the core practicals students complete at write up throughout the two years. The final year is also supplemented by a trip to CERN (approx. cost £350-400) where students can see particle accelerators, while rubbing shoulders with multiple Noble Prize winners. The students spend three days in Geneva, experiencing Swiss culture and seeing the sights. It is an opportunity for them to experience how scientists collaborate on experiments, while also testing their acquired knowledge from Year 1. 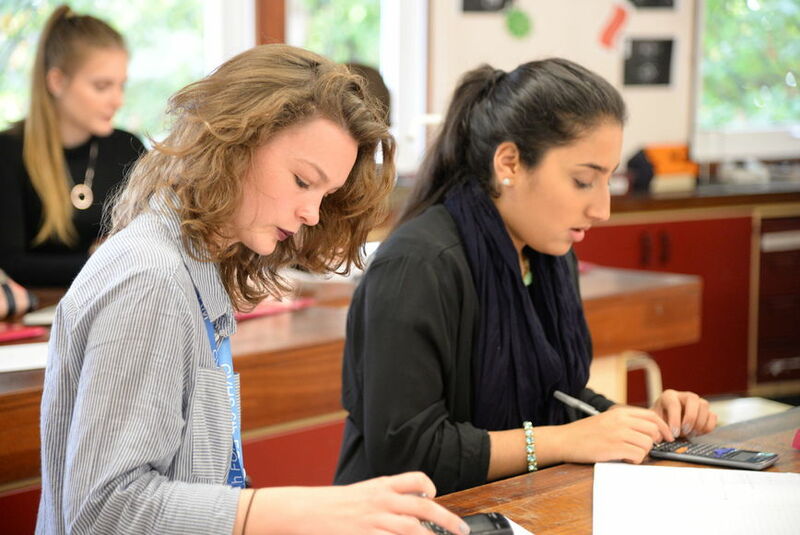 Physics A level complements subjects such as Maths, Chemistry, Biology, Geography, Technology and many others. It can lead to careers in research, engineering, medicine and is widely accepted by top Universities for entry to any number of courses. Science is everywhere! A phrase we strongly believe at Chelmer. So to facilitate that we explore as many areas of Science as we can. We encourage learning inside and outside the classroom and have a positive response from our students. 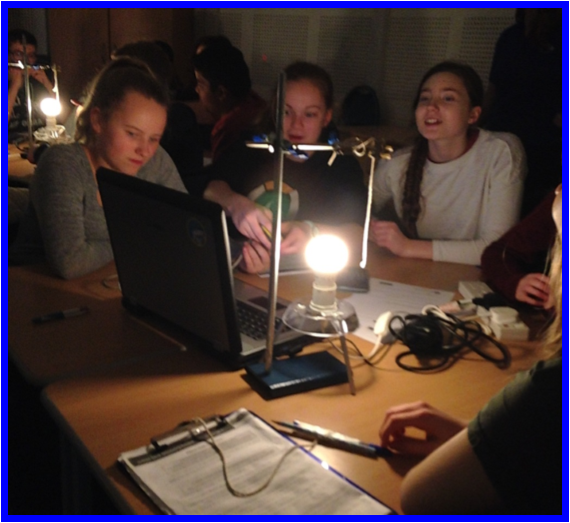 Science club is run by Mr Harley, who is also one of our Chemistry teachers, and the students enjoy the opportunity to explore aspects of science, for which there is no time in the curriculum. This club is open to all students from Years 7 to 9 on a Thursday after school, 3:20-4:20pm. While attending the club the students can also build up a portfolio to help them achieve a Crest Award, these are well regarded, high quality qualifications and a tangible recognition of success and even endorsed by UCAS. This is run by Mr Hannan and Mrs Luxon as an after school club for Year 10. At the end of the course the students have the option of taking the GCSE exam, which is worth 75% and producing two pieces of coursework worth 25%. The course explores all aspects of space from Earth to the outer reaches of our Universe. The students have opportunities to do observations using the wealth of resources available to them including telescopes, binoculars, the naked eye and our very own observatory! An exciting week to fully explore and appreciate some of the wonders of science. The students will participate in science themed lessons in other subjects, while also engaging in some interactive and unique science lessons. A science lab is also open at lunch times for a year group to come and see some cool science demonstrations and join in with some of their favourite experiments. Biology – A level Biology students carry out field work at Flatford Mill Environmental Centre during Year 12 to help them with their AS practical work. This trip to the idyllic area of Suffolk helps students to fully appreciate the diversity of the natural world around them. Chemistry – AS Chemistry students have an opportunity to go to a forensics lab and carry out CSI tasks for a day. 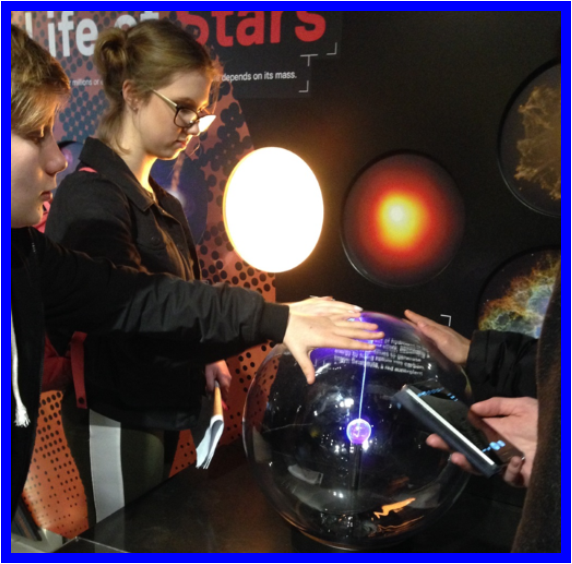 Physics – A level Physics students have the opportunity of a lifetime to explore the beauty of Geneva and the Swiss scenery and more importantly to explore the largest research laboratory on this planet.